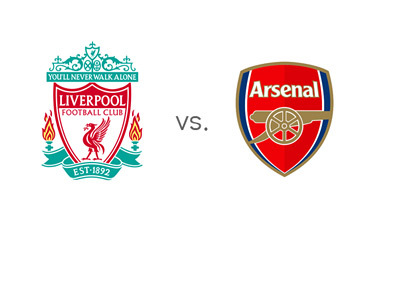 Liverpool will host Arsenal in the twenty fifth round of the English Premier League on Saturday, February 8th, 2014. This promises to be a great match! Liverpool are in awesome form these days. They are fourth in the EPL tables at the moment and in a great position to qualify for the UEFA Champions League next season. After trashing their city rivals, Everton, 4-0 on January 28th, the Reds most recently drew 1-1 with West Brom away. The two strikers, Luis Suarez and Daniel Sturridge, are playing great. They are the first and third top goalscorers in the league so far this season, with 37 goals between them. Arsenal are at the top of the EPL tables with 55 points, two ahead of Man City and Chelsea FC. Arsene Wenger's team has had it's problems with injuries lately, but they managed to stay on top. Jack Wilshere is set to return to the line-up just at the right time as the Gunners have quite a lineup of matches in the next ten days or so. In the Premier League they are facing Liverpool and Manchester United next, followed by a FA Cup showdown vs. Liverpool and the Champions League clash with Bayern Munich. This is the crucial time of the year for Arsenal. In their last game Olivier Giroud and Co. beat Crystal Palace at home 2-0, after drawing with Southampton 2-2 in the match before. Earlier in the season, Arsenal beat Liverpool 2-0 at the Emirates. Liverpool, who have only lost once at home this season, are the favourites to win. A €100 bet on the hosts could return €110 in profit, while the same bet on the Gunners could return €225 in profit. Luis Suarez (8/11) and Daniel Sturridge (6/5) are the favourites to score for Liverpool, while Olivier Giroud (6/4) and Lukas Podolski (15/8) are the favourites to score for Arsenal. This is a big match. Tune in if you can! The kick-off is at 12:45pm local time.